Kathy Reiffenstein shares with us this small note. "I am honored to be invited to participate in this initiative. I looked over my posts (I’ve been blogging for 3 years now) to see which ones struck me as “favorites” and I came up with two choices." "One is a series of 3 posts I wrote about the power of language. I am always amazed at how much the choice of words and the organization of those words into phrases or sentences has on the impact and memorability of any message. And to think that most of the rhetorical devices that create such power were originally developed by the Greek orators over two thousand years ago. So I wanted to share with the readers how easily they can leverage the power of words by using these rhetorical devices." "Then the other choice is a post I did fairly recently about how to tell a story. I think stories are such a critical part of making a presentation relevant, enjoyable and memorable for an audience, yet I know I’m not very good at the skill of story telling. So I tried to break it down and approach telling a story step-by-step in an effort to make it less intimidating for others like me." 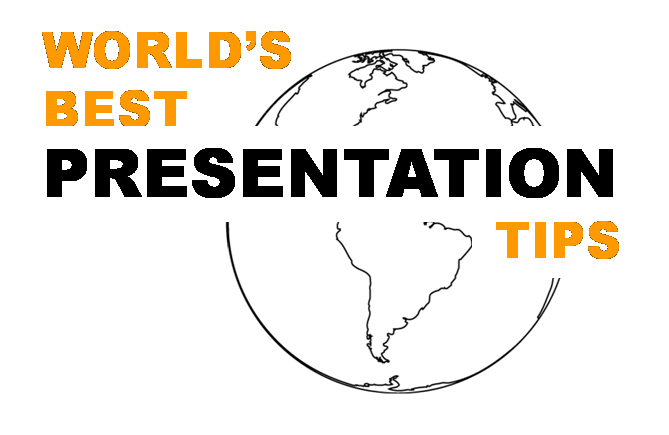 Presentation Tip: How to tell a story? I would like to thank Kathy for sharing with us your best posts. I am sure you will find these posts informative and educative. Do write to me with feedback on how to find the series and how we can make it better. starts off interesting, thanks for initiating this. Looking forward to the whole series! My attempt is to make this a valuable series for all the readers. Thanks for your contribution.